Our store, Happenings, smells wonderful! That is because we love to burn our Capri Blue candles. We like to think of the Volcano scent as a signature scent for us! 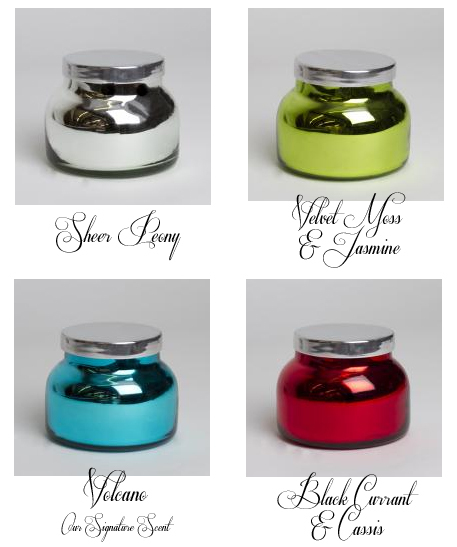 Now you can bring home a hand-poured Capri Blue Metallic Candle for your home! Our October item of the Day are Capri Blue metallic candles! Available in Volcano (of course), Sheer Peony, Velvet Moss & Jasmine, and Black Currant & Cassis. We will even create a custom 3" sticker to place on the metal top of the candle. You can include a monogram, name, icon, pattern, or an idea your have come up with on your own! Our candles are normally priced at $30 but today from 3 pm CST-3 pm CST tomorrow, you can get the candle and custom sticker for $25. 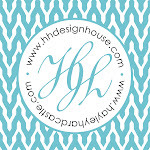 Order online, call us at 409.974.4122, stop by Happenings, or email us at info@hhdesignhouse.com to order. **Orders must be received by 3 pm CST on October 3 to qualify for discount.